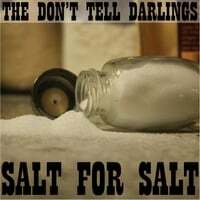 Sugar for Sugar, the new forthcoming album from The Don't Tell Darlings, is now available for pre-order! To get your copy, visit our Kickstarter page, chip in ten bucks to help us meet the rest of the production costs, and we'll ship a fresh, hot CD to you the moment we have them in our darling little hands. This lady is almost ready to go live. Old Man Kellly needs to wave his magic wand and make it look awful pretty, but the website will soon be up and running. Catch us this Friday, July 29 at the Charlottesville Pavilion at Fridays After Five, or check out other upcoming appearances. See you at a ruckus real soon!